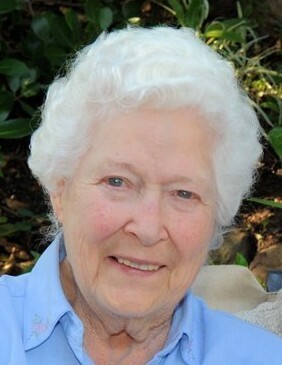 Margaret F. (Peggy) Dickerson passed away peacefully on January 17, 2019 with family by her side in her apartment at Timber Ridge, McKinleyville. Peggy’s loving warmth, strong faith and friendly smile touched many and will be forever remembered. Peggy was born October 4, 1923 to parents Minna and Stanislaus Budnick. She grew up in Texas helping her mother and siblings make ends meet after her father stepped out of the picture. Peggy was proud to have attended the University of Texas at Austin for one year under the ESM War Training program. She then worked in several clerical positions before meeting Bob Dickerson in 1948 at a Catholic Newman Club national convention in Minneapolis. Peggy and Bob married in January of 1949 and moved to Los Angeles that fall. When Bob finished his doctoral dissertation at UCLA in 1959, the young family moved to a home on acreage near Blue Lake. Peggy was a full-time mom until her youngest child started high school. She then worked as assistant to the City Clerk in Blue Lake for 20 years. She was a long-time member of St. Mary’s / St. Joseph’s Catholic Church. 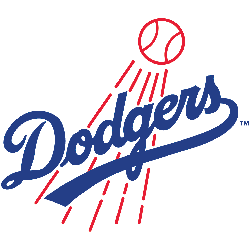 She enjoyed music, gardening and she was an avid sports fan - especially for LA Dodgers baseball. Peggy was preceded in death by her husband Bob, both of her parents, brothers Bud and Thea, and sisters Hallie Rovello and Genene Oestrick. She is survived by sons Dan (Jennifer), Francis (Lynne), Rich, and Robert Jay (Susan); daughters Mary Bullwinkel and Cathy (Mike Matteri); 8 grandchildren - Michael (Heather), Joe, Lindsay, Andy (Janelle), Brian, Robert (Mae), Erica (Joshua) and Taylor; 5 great grandchildren - Rylie, Kelsey, Jaycie, Kennedy and Weston. Peggy is also survived by nieces and nephews in Texas, Bob’s nephews and nieces on the east coast, and many friends and caregivers dear to her heart. The family would like to thank Dr. Beth Abels, Dr. John Aryanpur, Dr. Bryon Dorgan and others who helped extend her life into a healthy and active 10th decade. In her six years at Timber Ridge Living, McKinleyville she made many friends, enjoyed activities and appreciated all the loving care offered her. Peggy recently celebrated her 95th birthday enjoying several parties with friends and family. She felt incredibly blessed in this life and will be deeply missed. A Mass will be held at St. Mary’s Catholic Church in Arcata on Saturday, February 9th at 1 p.m. followed by a gathering at Timber Ridge, McKinleyville at 2:30 p.m. There will also be a Rosary at St. Joseph’s Catholic Church in Blue Lake on Friday, February 8th at 6:30 p.m.